It's always a great combination when you have friends over and food. You get to catch up on what's been happening, while feeding your stomachs. We went to Tapsilog Bistro with great friends and enjoyed some Filipino food. They serve brunch food all day, Sunday. Tapsilog Bistro is located in Campbell. Golden Globes is was on today. Missed it. 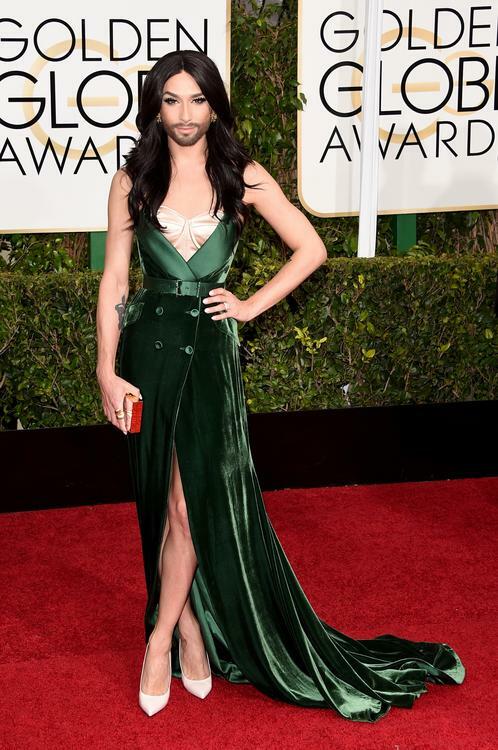 Saw this picture of Conchita Wurst. I have not heard of her until today. Have to admit that I went on Google to figure out who this person was after seeing her in the green dress on the red carpet, the beard threw me off. Conchitwa Wurst won Eurovision for singing "Rise like a Phoenix." You can see her singing here. Thought this video was adorable. Things to do Around Town :: Whimsy!